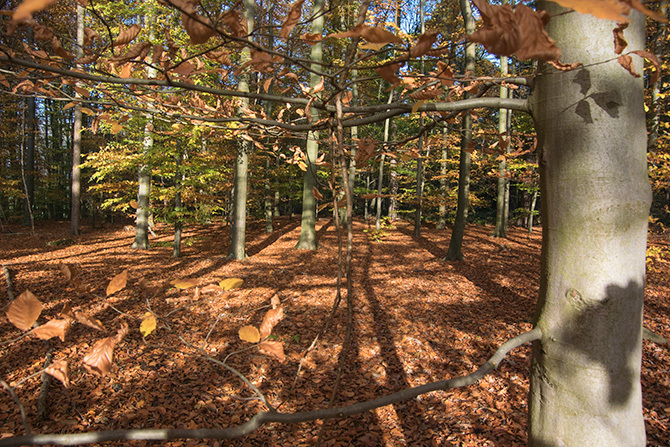 We have a beautiful brown carpet of withered leaves in the forest. Due to colder nights there are fewer mushrooms. They also get more and more buried by the falling leaves.